No More Spaghetti Social Media! 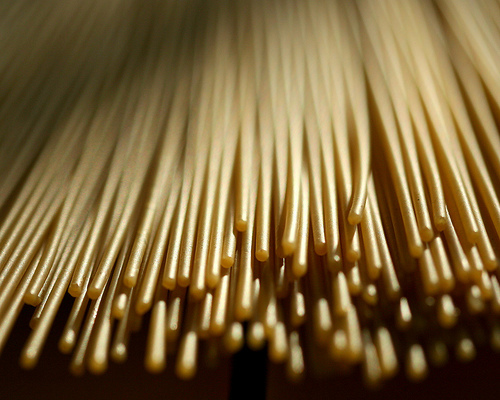 Do you practice Spaghetti Social Media? Like throwing pasta against the wall to determine if it’s done cooking by whether or not it sticks, Spaghetti Social Media a crude form of social media strategy where a employee tries using social media platforms in hopes that his efforts will succeed in achieving business results without any clear marketing goals because social media is free. Here are seven components of Spaghetti Social Media Marketing and how to fix them to improve your social media strategy. Does Your Social Media Marketing Strategy Need Training Wheels? Learning how to interact on social media platforms is a lot like learning to ride a bicycle. Social media marketing can require outside help that acts like training wheels to , getting you up to speed so you can get along on your own. This is an ode to #BloggerLove Month and our We ♥ Bloggers Content. Please get your submissions published! Need inspiration? Here’s a 125 Free Blog Titles.